You can download the paper here along with the supplementary tables here. Nature Communications have kindly made this paper ‘open access’ for there is no charge. 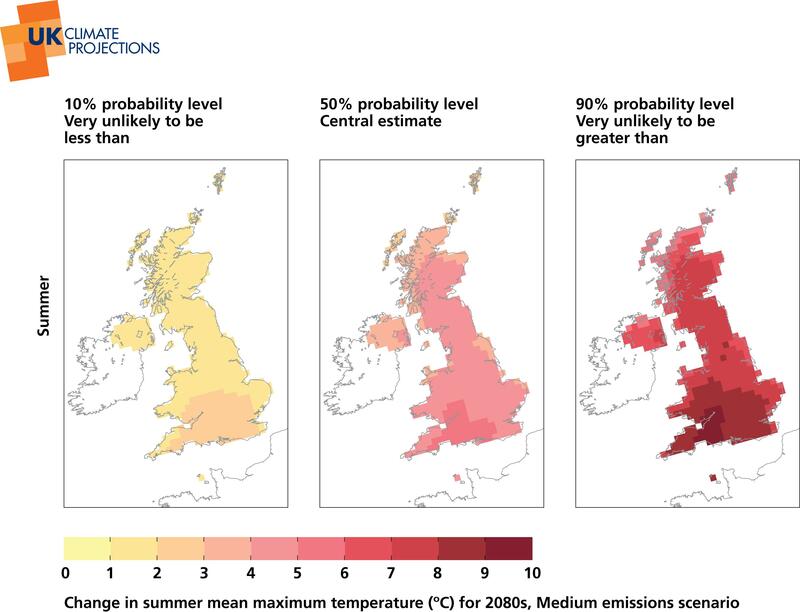 This is a graphic from the recent BTO News magazine which summaries the findings regarding route choices. In essence UK cuckoos either use the eastern route through Italy / The Balkans or the western route through France / Spain when migrating south. Interestingly all birds use the western route to return to Britain. 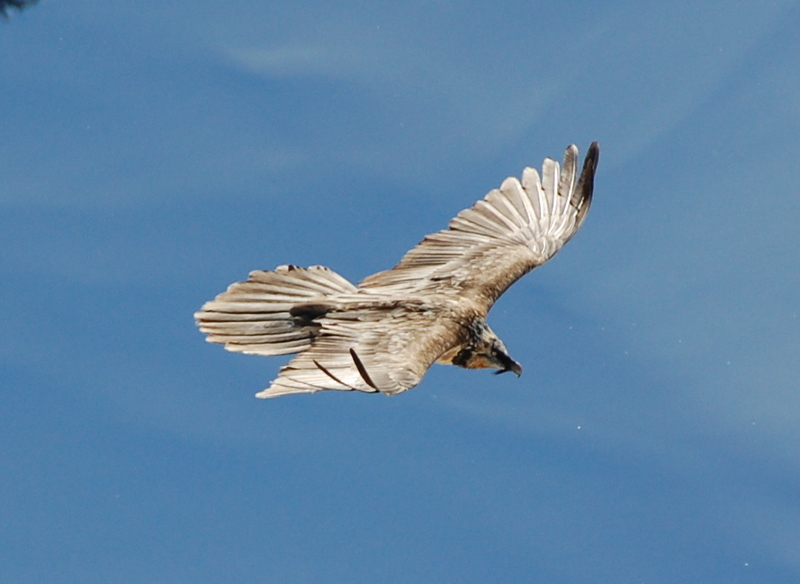 The research statistically proved that mortality of birds travelling south via the western route was significantly higher than for birds using the eastern route even though the western route is shorter. 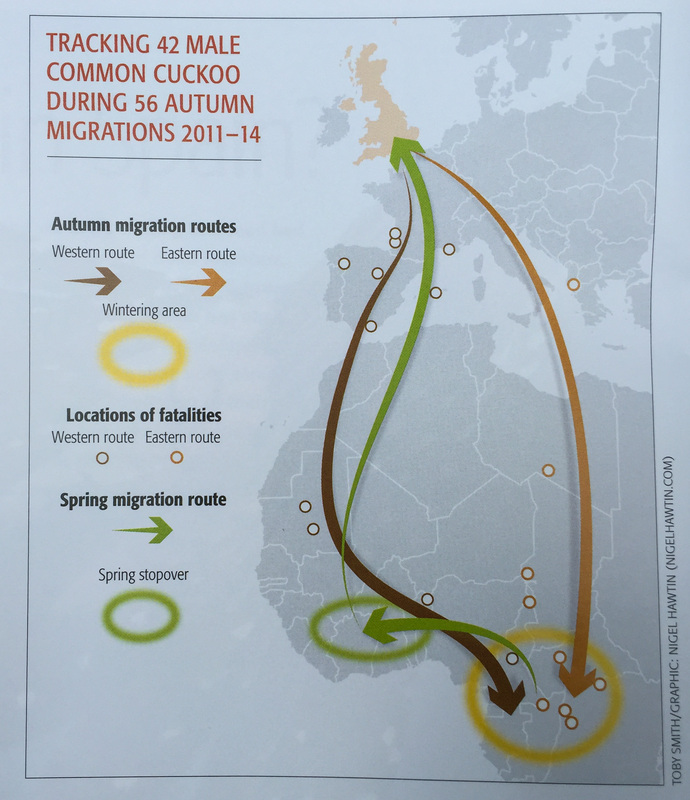 The paper includes this graphic with the following caption ‘Cuckoo migration route use and breeding population change for each tagging location’. From this we can see that 6 Dartmoor birds were tagged four used the eastern route and two used the western one (yellow/red pie charts). 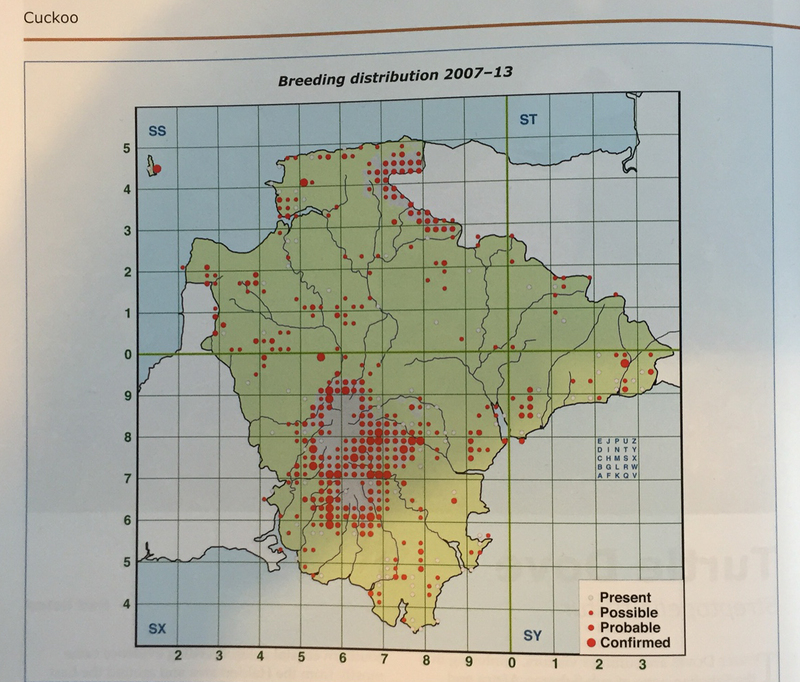 The undying pink / grey dots on the UK map show the change in abundance of cuckoo populations across the UK as measured by the BTO Atlas Projects in 1988–91 and 2007–11. 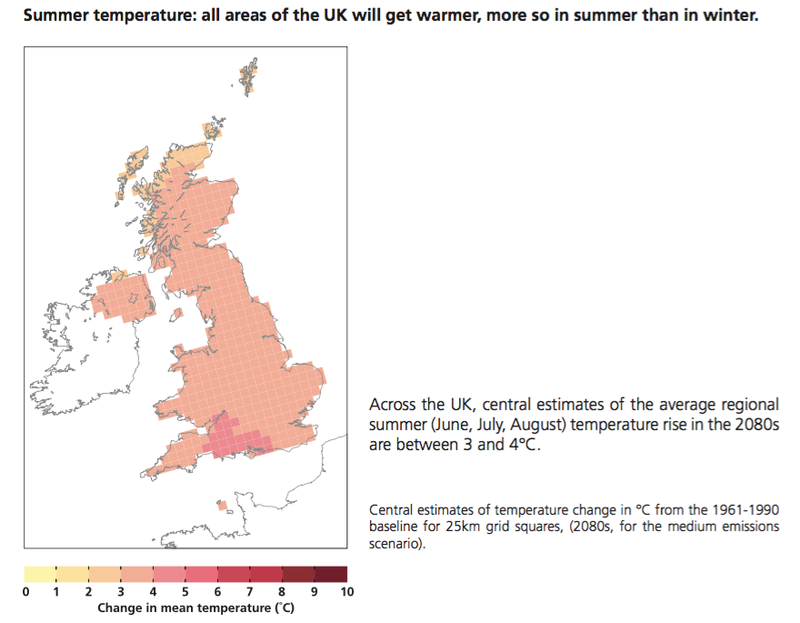 Dark pink indicates a good increase and dark grey a big decrease (see the colour scale on the right side of the map above +0.75 = 75% increase in abundance and -0.75 = 75% decrease in abundance between the two survey periods. It is currently not clear why the western route is more hazardous – it might be land use change and drought in southern Spain – more research on this required. The BTO team then correlated the route data with the abundance change data – this is shown in Supplementary Table 2 – I have turned that data into a little graph so it is easier to understand. The axis which runs along the bottom of the graph shows the proportion of cuckoos using each route, 1 = all birds using the eastern route and 0 = all birds using the western route. 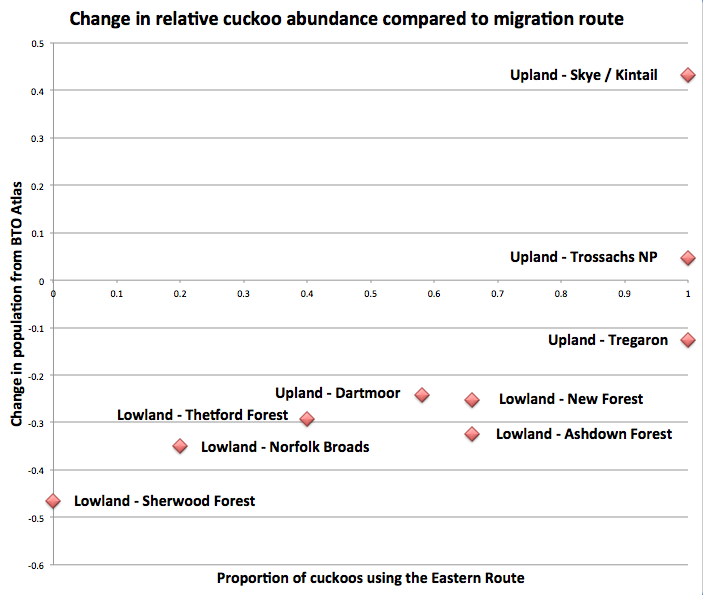 The Dartmoor birds score 0.58 = 58% of Dartmoor cuckoos use the eastern route and 42% use the western route. The scale which runs up the graph shows the change in abundance of cuckoos between the two BTO Atlas survey projects. 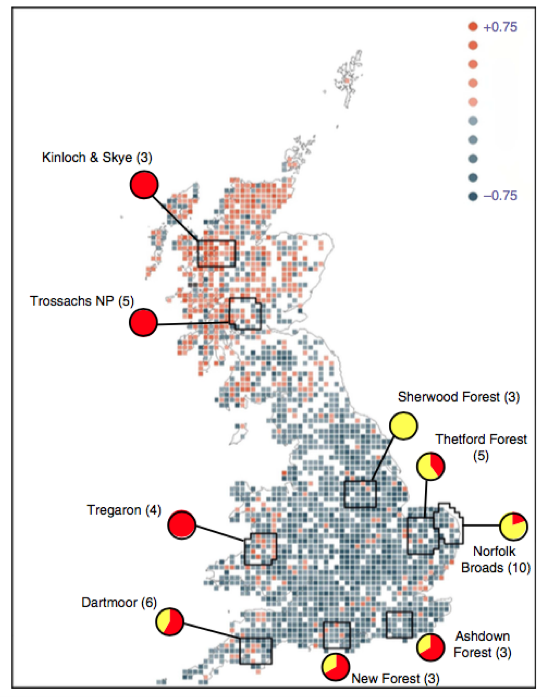 The Syke / Kintail population score 0.433 = a 43.3% increase. 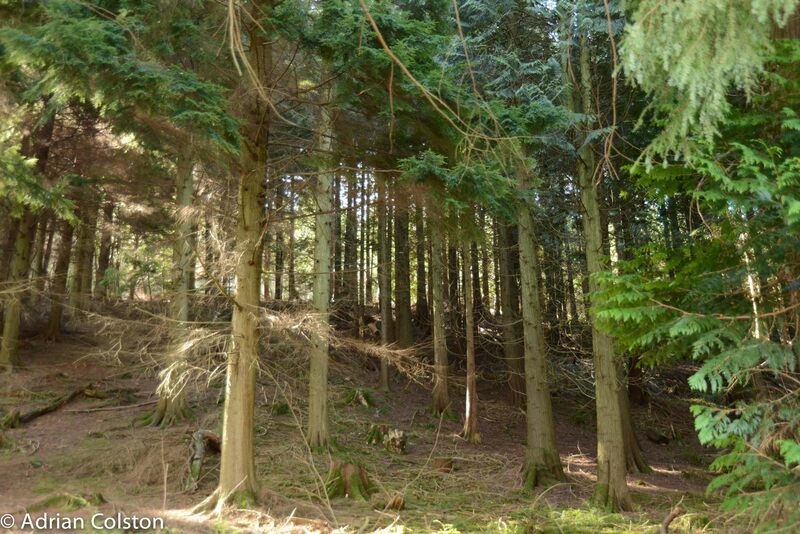 The Sherwood Forest population score – 0.465 = a decrease in abundance of 46.5%. 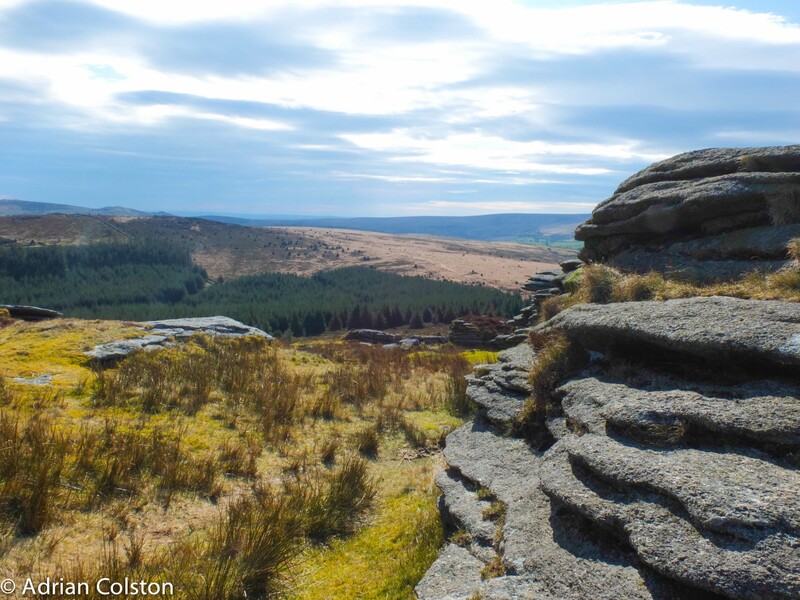 The Dartmoor population is -0.242 = a decrease in abundance of 24.2%. The BTO work proves that there is a statistically significant correction between these two factors i.e. the proportion of birds using the western route strongly correlates with population decline across nine local breeding populations. With the publication of the Devon Bird Atlas late last year we already knew that cuckoos in Devon were in big trouble. The Devon Atlas does show a strong population still on Dartmoor but as I have argued before this population is also declining (see here). 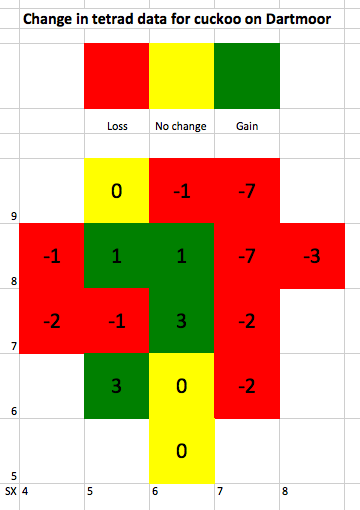 I produced a graphic which showed the changes on Dartmoor between the two survey periods. 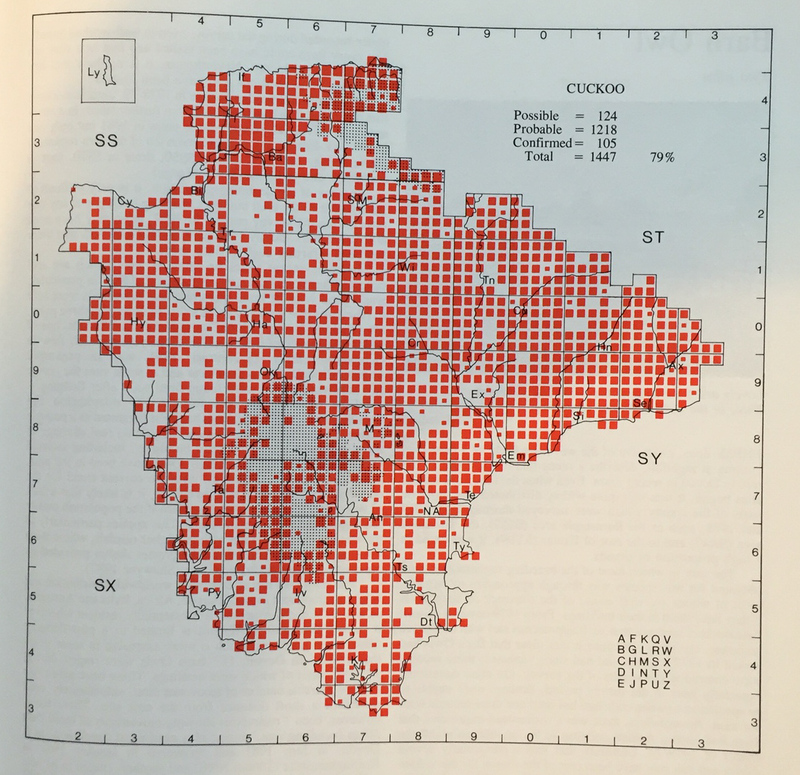 Four 10 x 10km squares had increased numbers of tetrads (2x2km squares) where cuckoo bred, three showed no change but nine showed declines. Overall cuckoo bred in sixteen fewer tetrads in 2007-13 compared to 1977 to 85. The data in the BTO paper ascribes the decline to 24.2% on Dartmoor using the BTO Atlas data (comparing 1968-72 with 2008-11). The paper also clearly shows that the 42% of Dartmoor cuckoos which migrate via the western route suffer a higher mortality rate than the 58% which use the eastern route which goes some way to explaining the decline. However mortality rate on migration cannot be the whole story – it cannot explain the 75% decline in Devon. 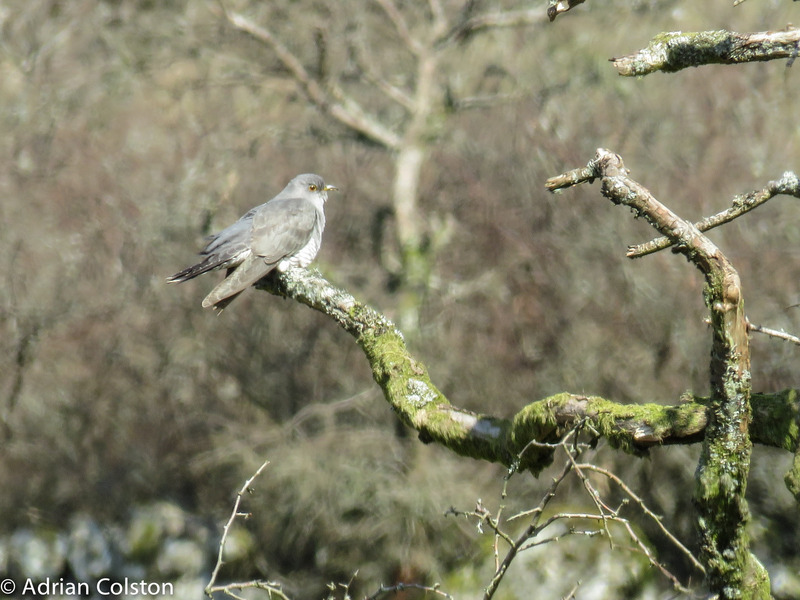 Away from Dartmoor and Exmoor the cuckoo is now virtually extinct in the county when 30 years ago it was common. The change in land use in lowland Devon is almost certainly the culprit here. I have written about this before – see here and have discussed the decline in the population of large hairy caterpillars which cuckoos are so fond of. Fortunately further research is being conducted at Exeter University by Professor Charles Tyler and his team which includes Sara Zonneveld and Lowell Mills who are both conducting PhD research on this very topic. I am very much looking forward to hearing about what they have discovered. Their work along with the BTO’s migration work (and other relevant research from the RSPB) will I hope help us piece together what has happened to our cuckoos so that we might have a chance in the future to do something about it. I was also pleased to see Devon Birds credited in the acknowledgements section of the BTO paper. 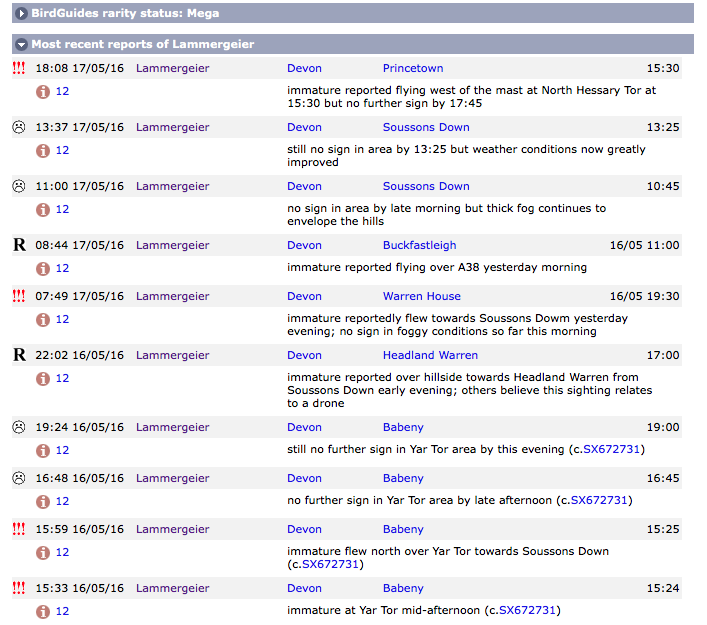 I understand that Devon Birds provided funding to help acquire some of the satellite trackers. 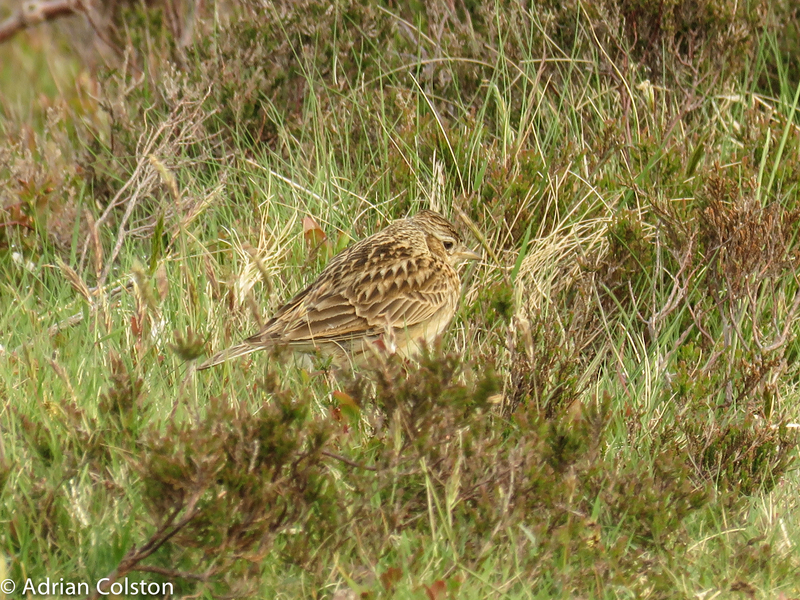 Earlier in the year I supported a crowding funding campaign for the Dartmoor Upland Bird Nest Group. 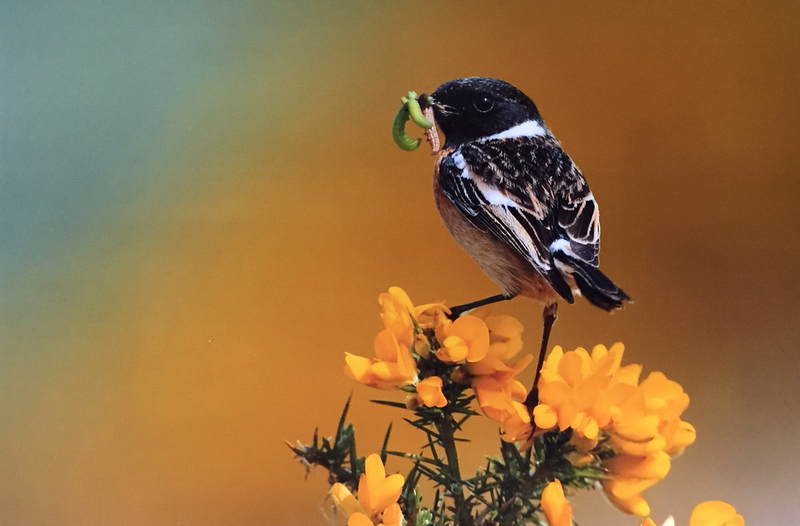 They raised £3728 from 95 donors which has enabled them to purchase equipment, bird rings and fund additional survey hours in the field. In the post yesterday I received a ‘thank you’ from the group – a photo and some postcards. A very nice gesture – thank you. 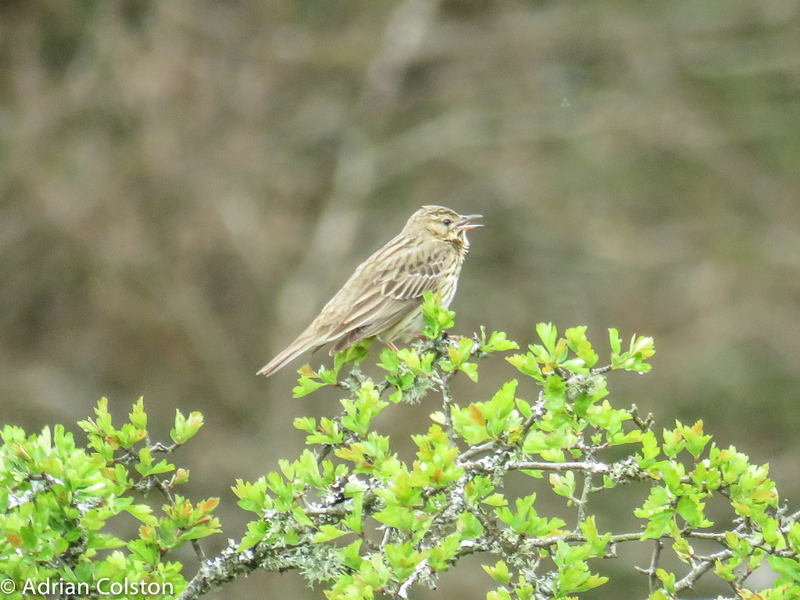 It is an important project working out what is happening to Dartmoor’s birds such as the cuckoo, whinchat and meadow pipit. Find out more about the group and their work by clicking here. Following on from yesterday’s blog about the Dartmoor lammergeier (see here) I can report that on Wednesday 18th May there were no ‘official’ sightings of the bird. And this one from Wednesday the 18th May. I just wonder how easy it will be to ‘acquire’ a dead sheep. Am still waiting for the further details …..
That Birdguides post reminded me of my favourite one of all time regarding a Yellow-browed Warbler in Blackpool from 2002. I spent most of yesterday trying to see the lammergeier, a large vulture with a wingspan of 2.75m, which had been seen on Dartmoor the day before. 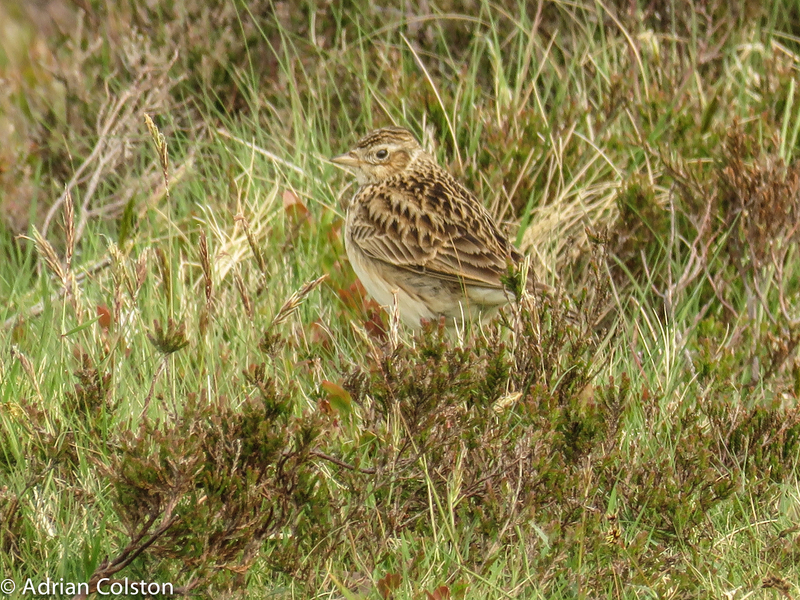 This is a very rare bird for Britain – indeed it is the first record of the species for the country. However all did not go to plan and I drew a blank. 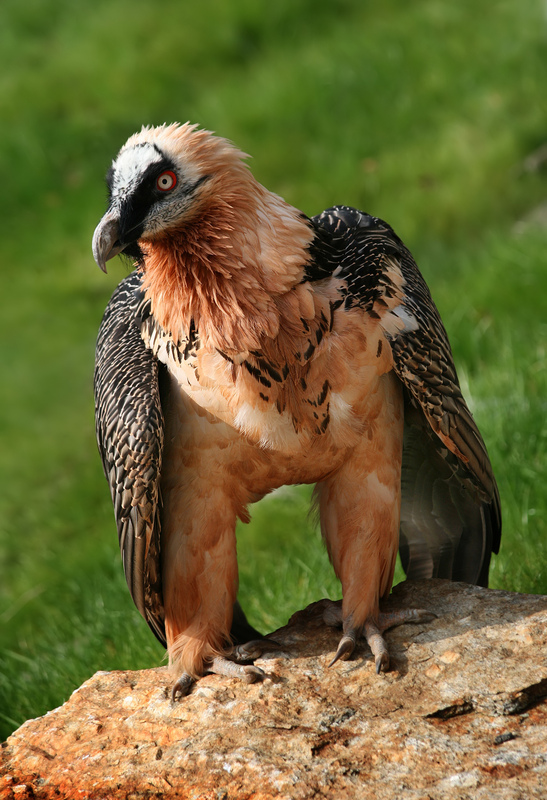 The name ‘lammergeier’ appears to have come back into fashion – in the mid 80’s and 90’s it was replaced by ‘Bearded Vulture’. Lammergeier translates from the German as the lamb hawk and such a name was considered an impediment to its conservation so it was changed. It is a very rare and threatened species in Europe and has been successfully re-introduced into the Alps and the Pyrenees. It is a very specialised vulture as it predominately feeds on the marrow from the bones of dead herbivores. 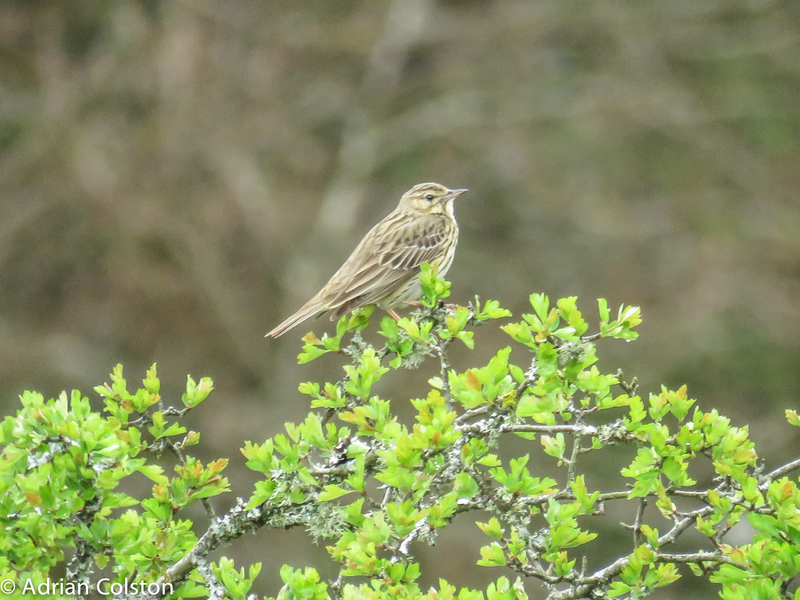 I subscribe to a service called Birdguides which provides detailed updates on the location of rare birds in Britain. The specific language used by Birdguides is important and needs some interpretation to the uninitiated. 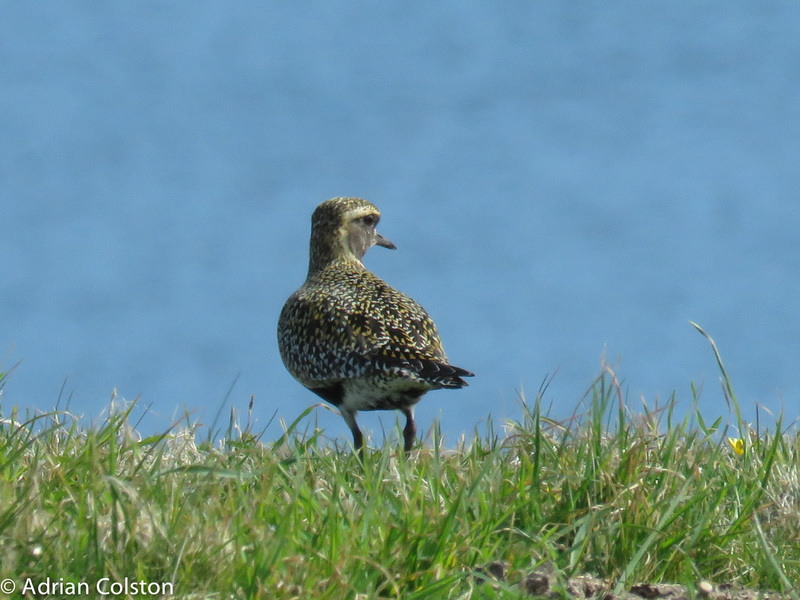 “Immature at Yar Tor” – the first record is unambiguous – the bird was seen there at 15.33. A little later the sighting becomes ‘reported’ i.e. it may not be correct…. The ‘reported’ status is then further questioned as “others believe this sighting relates to a drone”. I must say I have never seen a 2.75m drone on Dartmoor. The record update then becomes ‘reportedly’ which means it is probably not correct…. 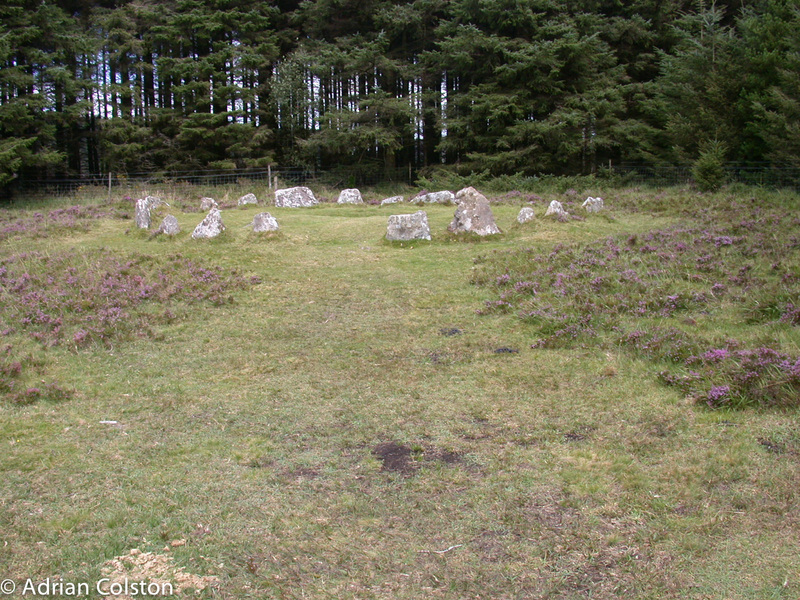 Nevertheless I spent most of Tuesday around Soussons Down near to the Warren House Inn. When you are trying to re-locate a first for Britain such nuanced language is lost on you until you have time to reflect …..
My time however was not entirely wasted I did manage to photograph a few of the commoner and more classic Dartmoor birds. As I was standing around at Soussons yesterday the lammergeier was seen over Princetown and North Hessary Tor (6 miles away) but unfortunately I didn’t know this as I had no phone reception. I am now waiting for ‘news’ before I head out again. There are two other essential Birdguide words that would be twitchers need to know. ‘Purported’ – a purported record is one that has been submitted but it not believed. However it is reported in case it turns out to be correct and no one can then be accused of suppression. 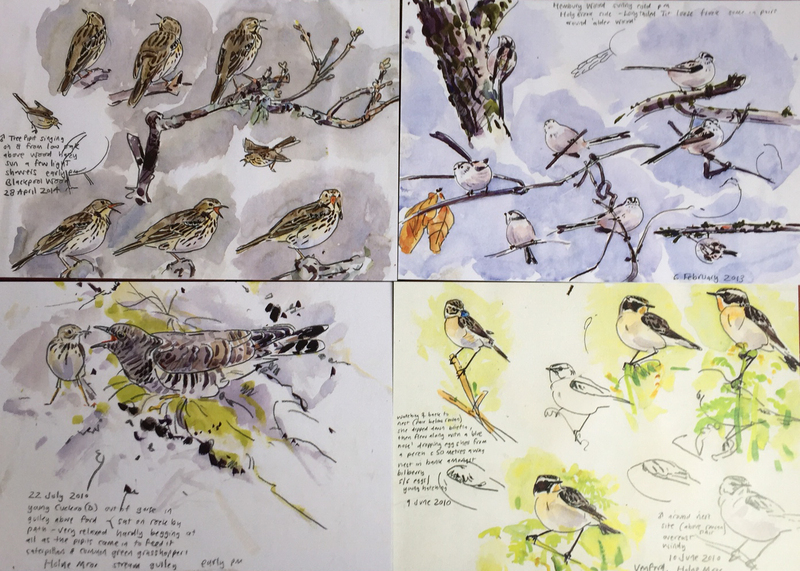 ‘Putative’ – a putative record is slightly more credible than a purported one but one would be well advised to allow the sighting to be firmed up before travelling hundreds of miles across the country to see it. So we have a transition of bird sighting terminology. Well worth remembering in the future. 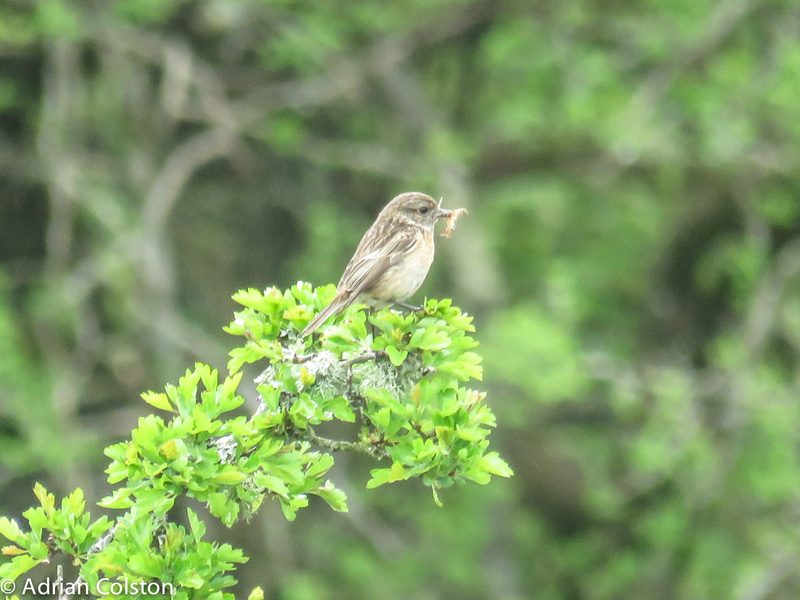 Steve and I had a good day birding yesterday – we had a long slow walk around St Mary’s and found a few new migrants including grasshopper warbler, a black redstart, a lesser whitethroat and four golden plover in summer plumage in a field at Peninnis. We also saw the Montagu’s harrier over High Moors. 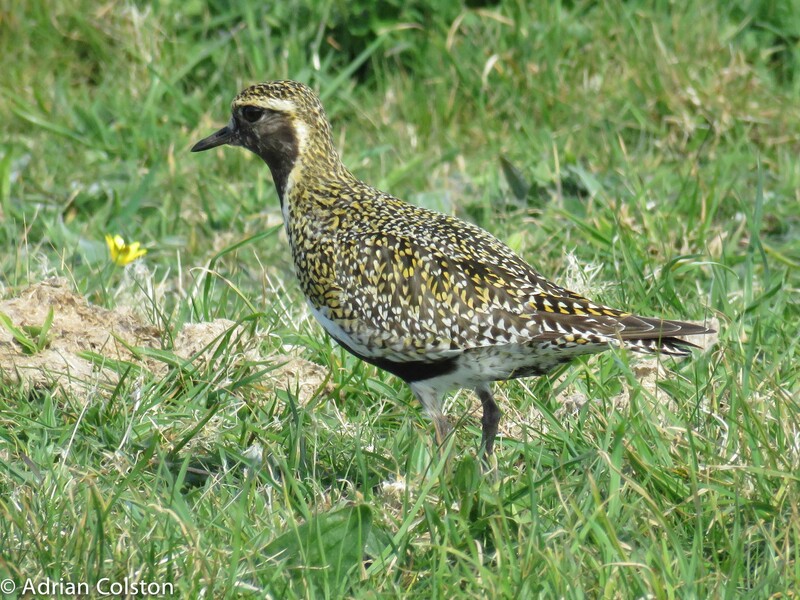 Golden plovers breed in the uplands of Britain (and elsewhere in Europe) and then migrate south for the winter – many spend their winters on our estuaries and on Dartmoor. 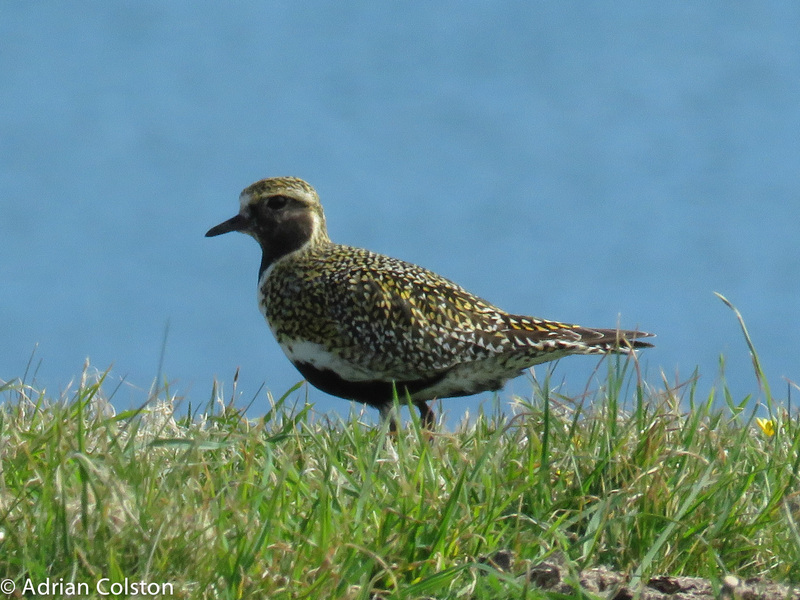 The glover plover formerly bred on Dartmoor but it has failed to do so in the last decade. 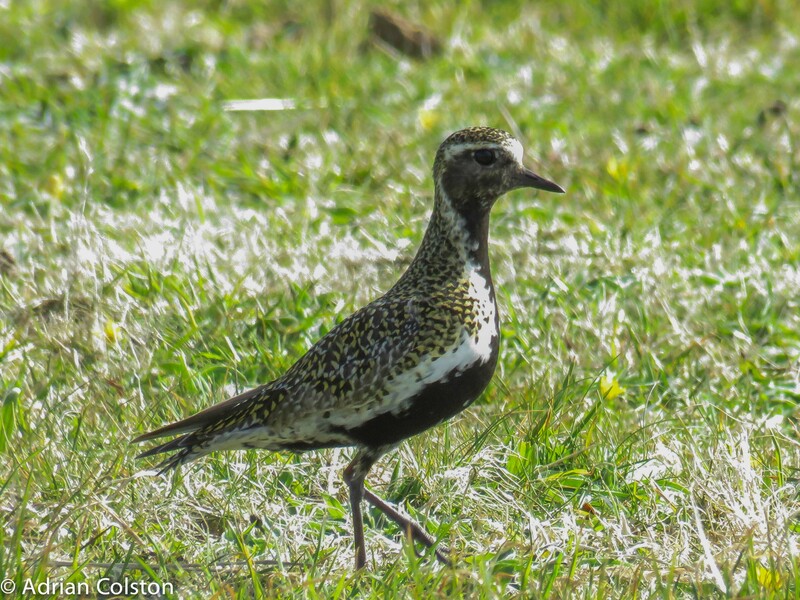 Work is underway on Dartmoor to further restore the blanket bog and it is possible that this may encourage the species to return However in all likelihood the golden plover is one of Devon’s first species of bird to become a casualty of climate change. 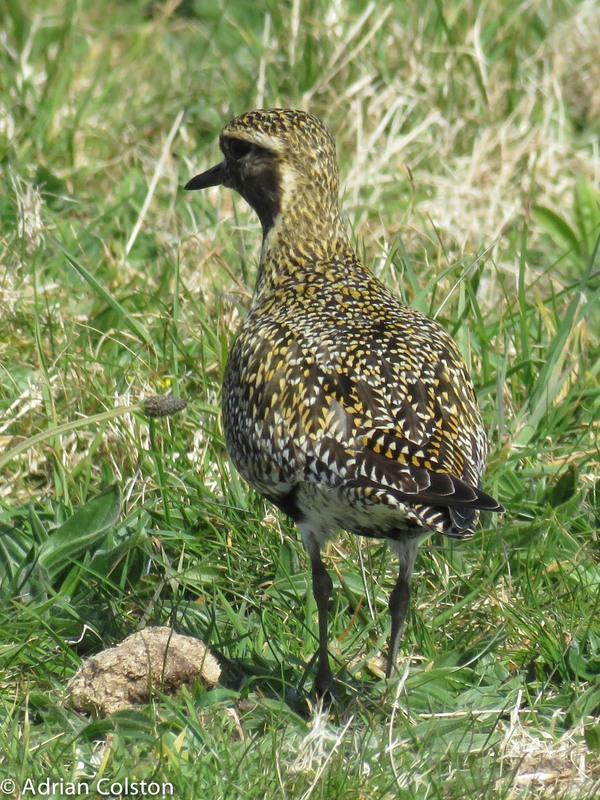 In the winter large flocks of golden plover can still be seen on Dartmoor – see here for a previous blog on wintering golden plovers on Dartmoor.